Can anyone tell of us the location of the 3 Star Restaurant? This image is from 1969. City of Portland (OR) Archives, A2011-018.404. 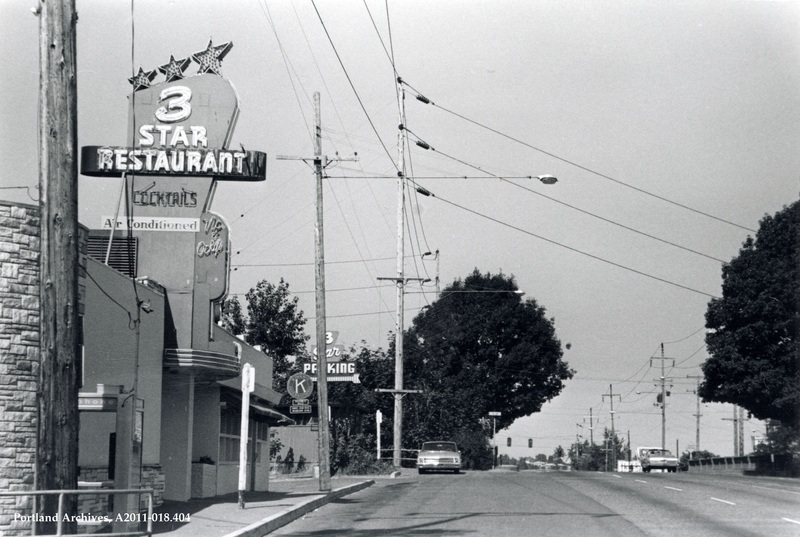 The “Three-Star” restaurant was on Barbur Blvd. a couple of blocks past 19th. “Three out of how many” is a question that comes to mind. Barbur Blvd., it was a popular dinner club in the 60’s, they had a stage for live music also, my parents used to host company dinners there, we always had a good time. I don’t have an answer to you, but perhaps as the Kiwanis met there, someone may have a list of period clubs that could be checked? My guess without looking anything up would be Barbur blvd. because of the drop off on the right of the photo. 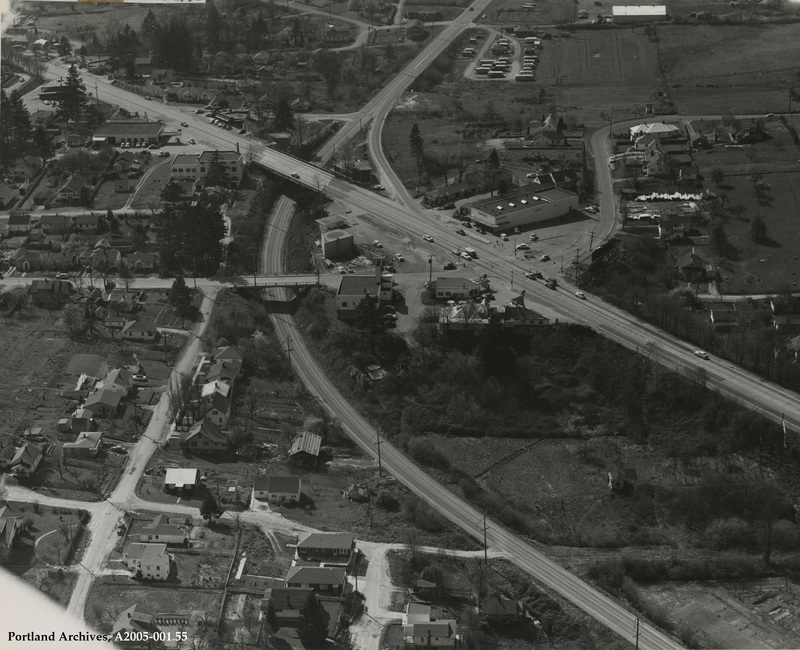 Here’s a view of that area from above from a few year’s earlier, in 1952. The 3 Star restaurant is in the upper left. Barbur Blvd. west of Multnomah Blvd. The 3 Star Restaurant, 8343 SW Barbur Blvd., Portland. The original owners were Vic and Ockey Harris (https://lostoregon.org/2010/05/30/portlands-restaurant-heritage/). Apparently it had a fairly lively music scene. A few albums were even record live through the years. Performers: Gypsy guitarist Juan Adomono, a returning regular (Oregonian Ad May 21, 1974 p.11, and others through the years). Barbur Blvd. in Southwest Portland. Great restaurant, great floor show, exciting blinking stars the used to blink in sequence so you couldn’t miss it if you were cruising Barbur at night. This picture is of the 3-Star restaurant on SW Barbur Blvd. The Turquoise Room was a little further to the south, up near SW 34th, which I believe had the dance floor with the swimming pool underneath, owned by Ernie Piluso. I would confirm the address of 8343 SW Barbur Blvd. And Pulaski’s Turquoise Roon was at 9847 SW Barbur Blvd., at least in 1959. Thank you to everyone that helped us out with this image! We have updated the catalog to reflect the location that you helped us find!